Gaines is a 2020 name for D1’s to track out of Lithonia High in Georgia. The sub-6 point guard displayed outstanding handles and great body control on his drives to the cup. Knows how to finish at the rim despite being one of the smallest players on the court. Wide array of dribble moves and defenders struggled to guard him because of it. Feathery jumper that he unleashed multiple times, mainly on mid-range pull-ups in transition. Potential MM+ D1 prospect. Day three at the Nike Summer Showdown had a certain energy in the building and it wasn’t even 10am yet. The brackets were set and the teams, coaches and spectators were piling in. There was clearly chatter in the building early on about a possible Mac Irvin Fire lockup with Meanstreets. Well that question quickly got answered with two age groups going head to head. First up was the 17u and the Meanstreets crew took the win in the semis thanks to the slithery play of national top 100 point guard Alonzo Verge. Verge used his quicks to get easy 10ft pull-up jumpers and lay ups all game. 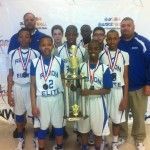 They faced a tough physical Hoops Avenues team in the championship and it was a physical game but Meanstreets and Mr. Verge took the W. Team Rose put in a strong showing at this event and all summer with a loaded 16u roster featuring the Martin brothers, Brandon Hurt and Demonte Nelson. The main game of the day, hands down, was the 16u championship featuring the Fire vs Meanstreets. This is what everybody seemed to be waiting for, coaches included. 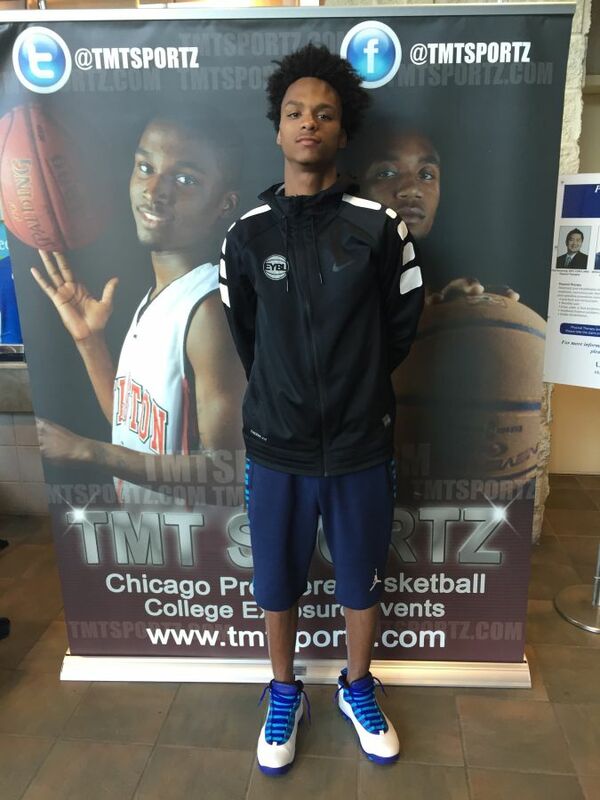 Let me just say this right now Ayo Dosunmu is just on another level in the 2018 class in Illinois. It’s almost not fair the spring and summer he’s had. 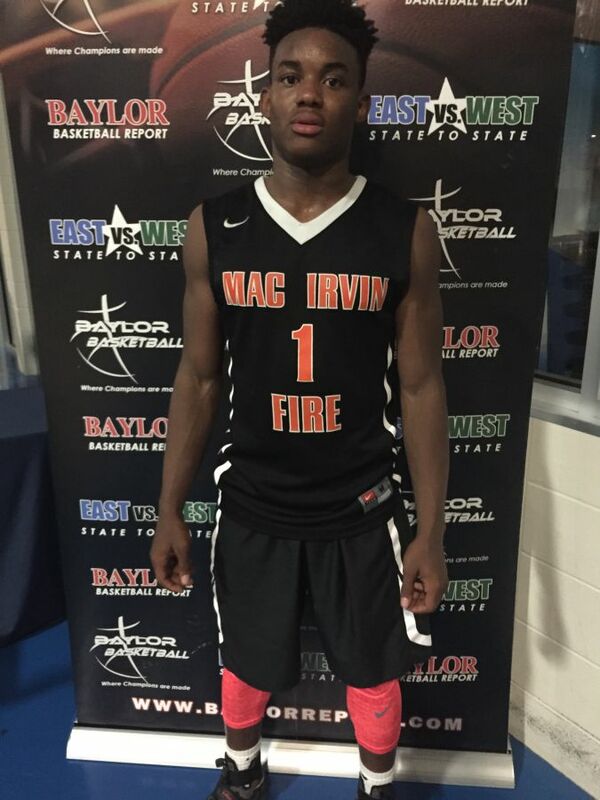 Ayo, now ranked #20 in the country, led the Mac Irvin Fire to a blowout win that had emotions and egos on display. The fact that the blowout rule was in effect may have made that bad blood worse. 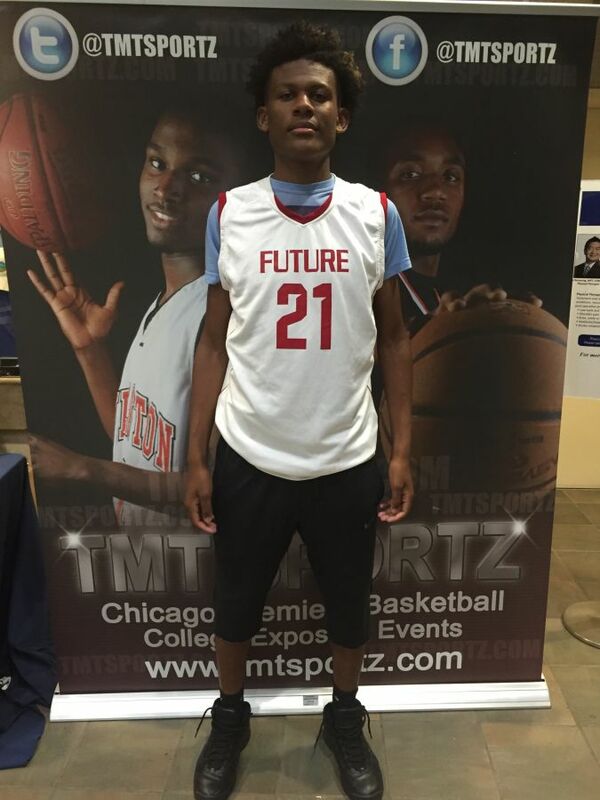 The super talented 15u Mac Irvin Fire brought “The Show” Markese Jacobs and Kejuan Clements. And that’s just what they put on all weekend – a show. Markese put on a personal show that included a takeover performance going for 17 straight points in front of University of Kansas assistant Jerence Howard that helped earn him a scholarship offer and a championship. 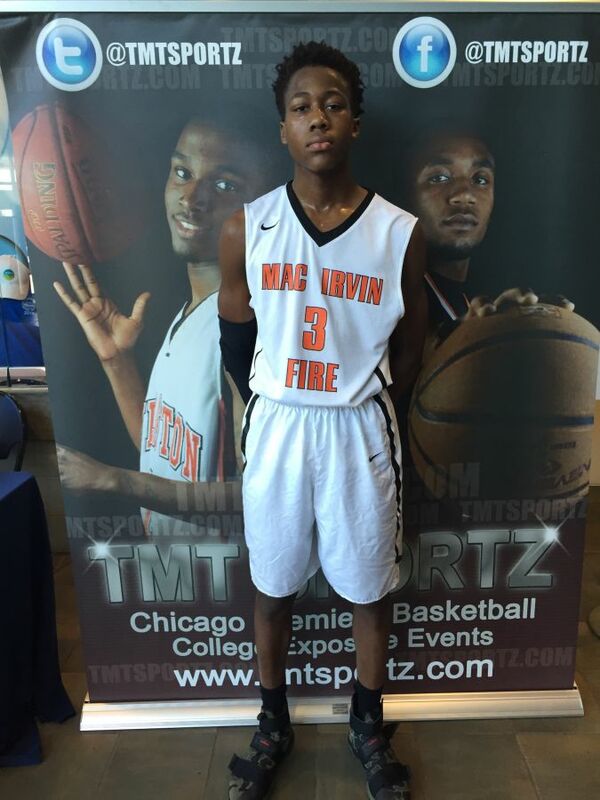 The 14u Mac Irvin Fire squad featuring Nimari Burnett, Shon Robinson and Adam Miller also won the championship. The class of 2019 and 2020 seem to be loaded in Illinois early. Overall the competition at each level made for solid match ups for recruiters to evaluate at the Nike summer showdown. Super talented and tough. 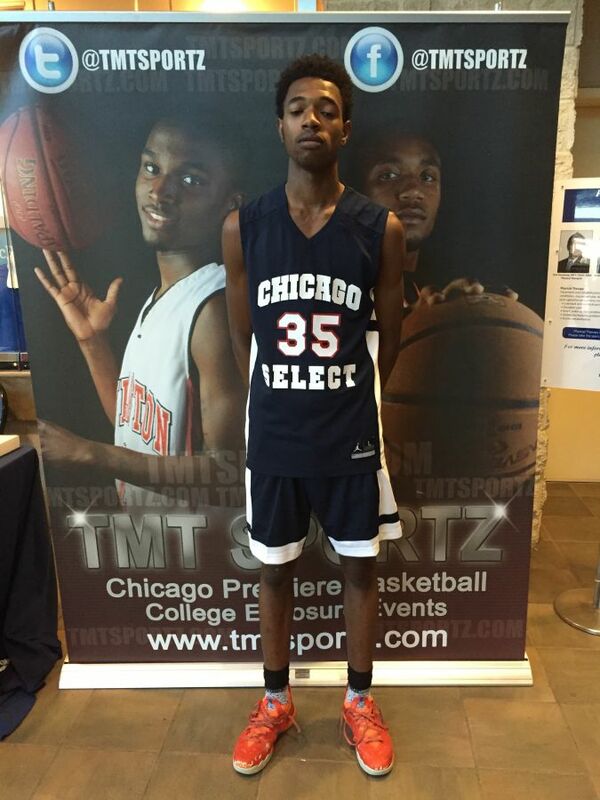 Youngest player to play on 15u division and more then held his own. Poured in big number games against elite teams. Rebounds well and has a knack for knowing where the ball is. His upside is already high, just have to wait and see how much he will grow. Had a huge spring and summer that earned him the #19 spot in the country on 2018 list. And showed why this weekend. Kid has great instincts and skill set. Hard to defend or stay in front of him. Plays under so much control. Gets to the rack any time he feels. Is a thief on defense. Many more offers for his services on the way. Slick point guard with high motor and great handle. He can score when he feels like it. Nice IQ and creates his own shot. Can draw defenders and find the open man. 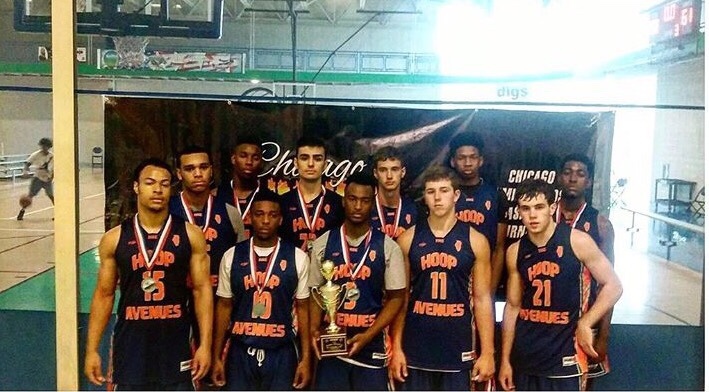 Had a great weekend leading the 17u to a championship. Waiting to see what school he will enroll in. Young fella was super competitive and did a little bit of everything for his young squad. Hit multiple three point shots and broke down the defense. Has long arms and speed. Handles well enough to create and get his shot off. This kid can flat out fly. Blink and he’s at the rim. Can score off the dribble. Rebounds at a high rate with his slender frame. Had a nice weekend stat wise. Ranked #4 in Illinois 2019 class. Nickname is “THE SHOW” for a reason the kid is exciting to watch. Strong with the ability to get in the lane and finish. Pull up game is nice. Decent handle. One man fast break ability. 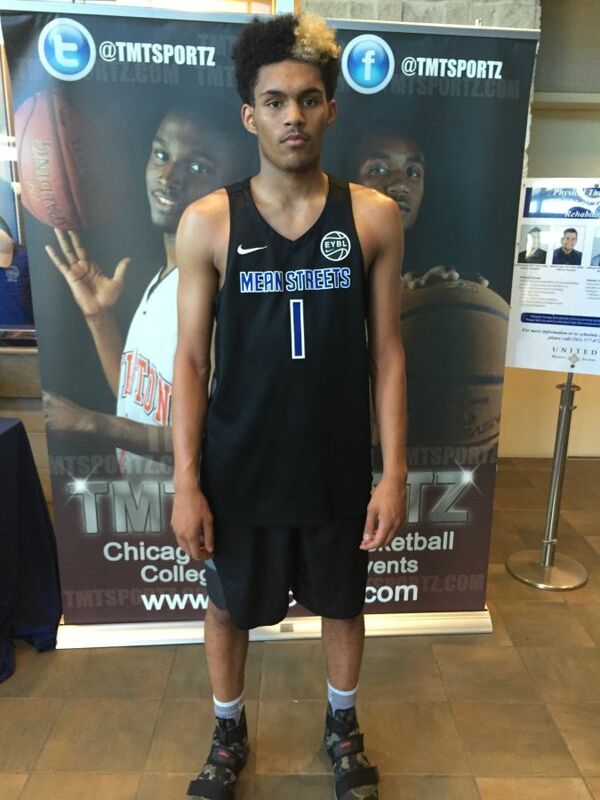 Picked up huge offer from university of Kansas this weekend at Nike summer showdown. Shot it well this weekend and had good shot selection. Played at a high level and got in passing lanes to cause turnovers. When he is on he’s on. His play this weekend should boost his confidence heading into Vegas. Maybe the hardest playing team in the whole tournament with their physical style of play. Gave top teams fits and got under their skin. Even blew a couple teams out. Overall a solid bunch that made every game tough for their opponent. 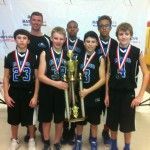 They end up losing to a talented Meanstreets team and captured second place. Opening nights matchup between Mac Irvin fire 17u and ET21 Buckeyes 17u had court #1 packed like it was an old school pro-am game with all the fans in attendance standing along the out of bounds line. This game started off as Cam Irvin’s coming out party he was lights out But in shocking fashion “Mr. 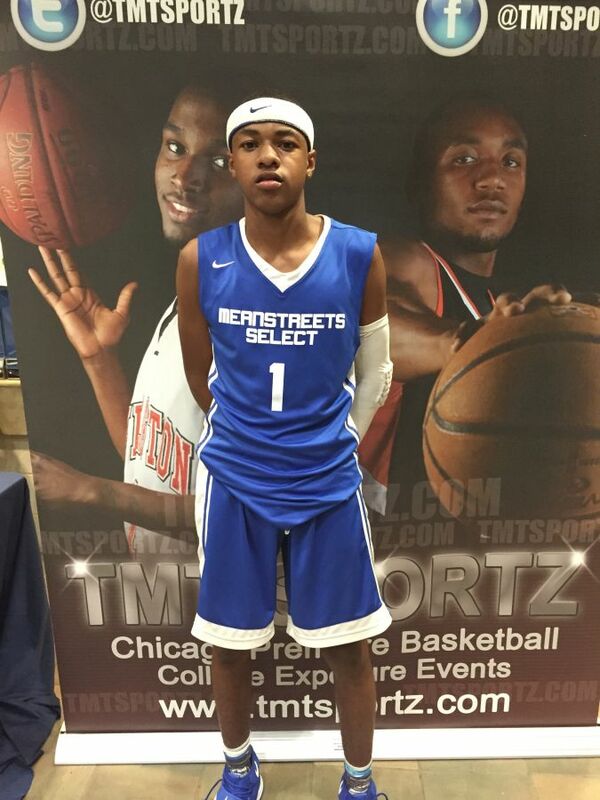 Downstate Highlight” Jason Towers ended a double overtime game by challenging Illinois recruit Damonte Williams at the rim that resulted in the “and one” foul plus the bucket – game over goodnight. 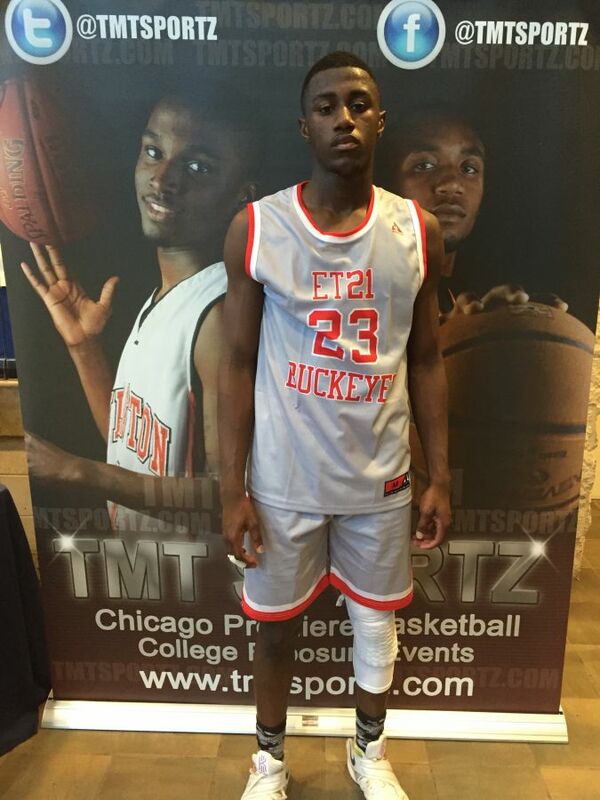 Jason has been on a mission since his electric performance down state with his St. Joseph HS team. 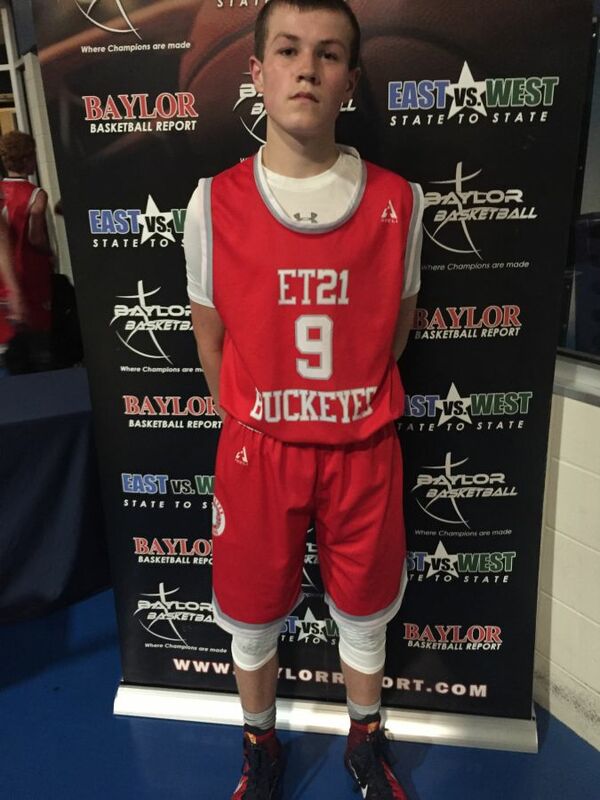 The Buckeyes 15u had the night cap that seemed like they wanted to follow in their big brothers footsteps. 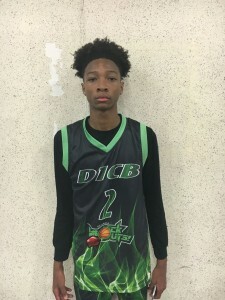 Matched up against the Fire talented 15u squad Markese Jacobs is called “The Show” for a reason but Matas Masys was fearless and went to work. Game went down to the wire and ended on a short buzzer floater. If these two programs lock up later I need a front seat. 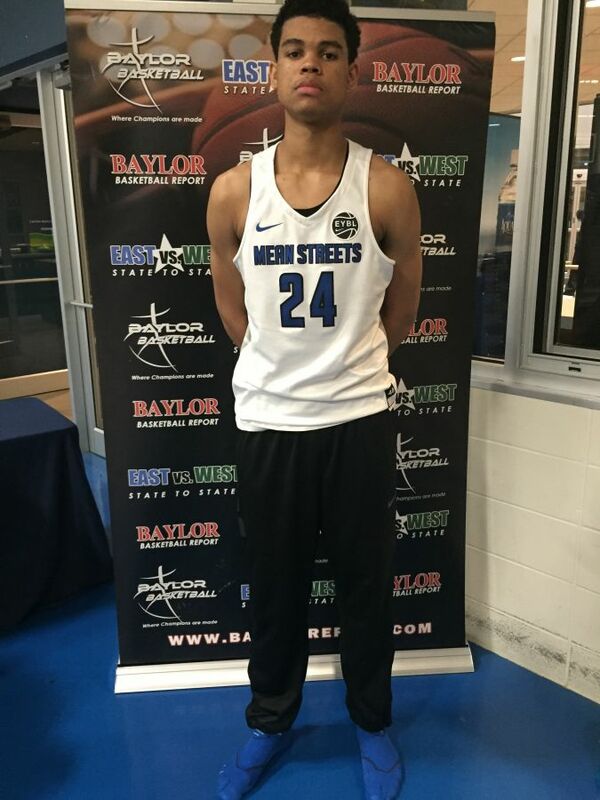 Meanstreets 6’6 15yr old Malik Hall has Major tools and will be special. With day one at Nike Summer Showdown in the books I’m sure day #2 will be popcorn front seat worthy. This kid is a athlete and on a mission to open coaches eyes. Decent handle and can get to the rack. Plays up on his man on defense. Nice in transition and can finish through contact. Kid is a winner. Major tools for this young fella. Does a bit of everything on the floor. Upside is super intriguing. Shoots a decent percentage from three. Inside outside ability. Rebounds well. Will be a match up problem for years to come. Tuff kid with no fear. Decent change of speed. 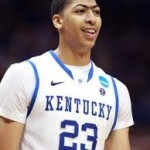 Above avg shooter. Very disciplined. High IQ. A sleeper in 2019 class. Should have a breakout HS season. Who would have known that Paul McRoberts would give up playing basketball to play another sport he adored which was football. Paul finished his senior year of high school on the basketball court and on the football field where he received major awards and accolades from both sports. He has received academic honors both in HS & college. After numerous basketball and football scholarship offers, he had to make a tuff decision to choose between two sports he loves. 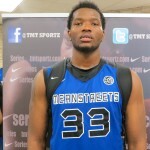 He took the offer with Southeast Missouri University. 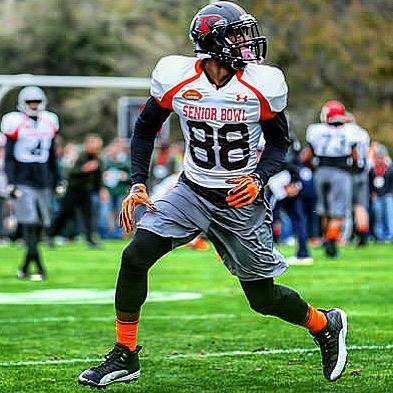 McRoberts, the first Southeast player to ever be invited to the Senior Bowl, he finished with one touch down, with four catches ( 46 yards), and one punt return ( 27 yards). Our exposure events draw in the most college coaches especially head college coaches in the Chicago land area! Don’t miss out on getting college exposure. We are unique in our approach. Every team is treated like an extraordinary program no matter what the talent level. We make sure that college coaches are watching your team and you are not attending our events to just to watch college coaches watch only the top or sponsored/selected teams. We bring in high to mid major Division I universities as well as D2, D3, NAIA and junior college to accommodate all levels. We care about your players getting the exposure that they deserve. 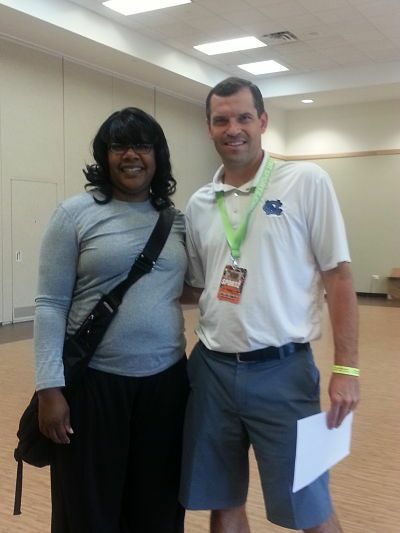 We know that the traveling coach work hard to get their players the maximum amount of exposure. And we guarantee you will get the opportunity and audience of college coaches galore. Some of the conferences that attended our events in 2014 were Big Ten, Big East, Horizon League, American Athletic Conference, SWAC, Missouri Valley, ACC, Patriot League, Atlantic 10, WAC, Summit League, West Coast, Sun Belt, SEC, Ohio Valley, Big Sky, MEAC, Mid American, Ivy League, Conference USA, Mountain West, Ohio Valley , PAC 12 and Atlantic Sun. Below are the events you should not miss out on! Excellent starter to evaluate what level your team and get college exposure with D2, D3 , NAIA and Junior Colleges in attendance. 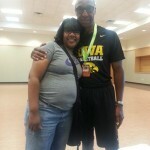 -Division 1, 2, 3 , NAIA college coaches in attendance – The Best Sizzling Summer event in Chicago! Torch the Courts with your talent! The last opportunity to get college exposure for the season! 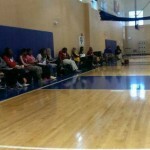 Come as a team or individually to get college exposure from major D1, D2 & NAIA college coaches. 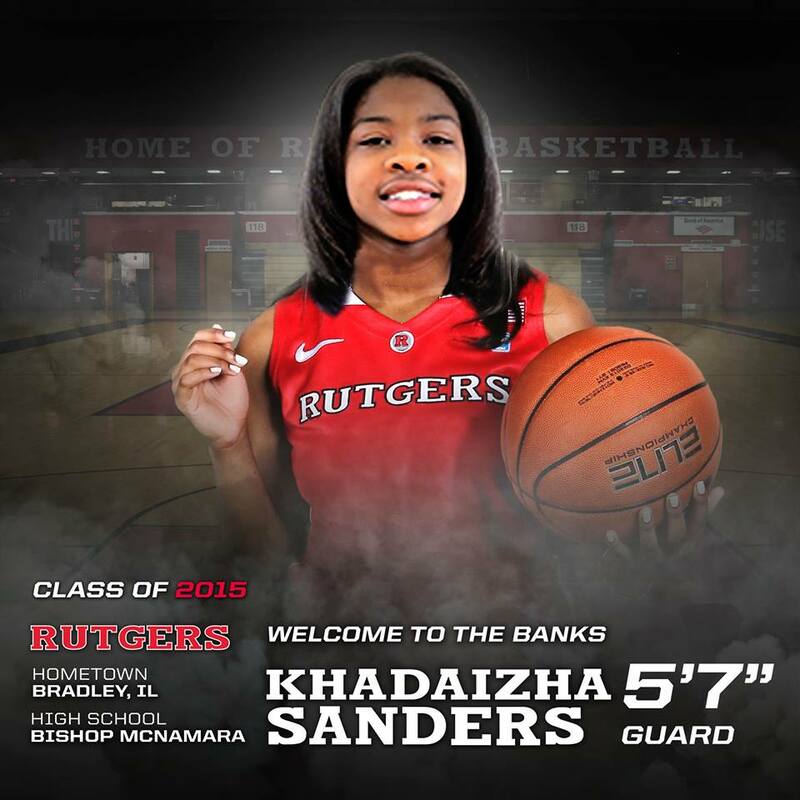 Baylor Youth Foundation’s Khadaizha Sanders (KK) signed to the prestige Rutgers University. Khadaizha is truly a role model on the basketball court and also in the classroom. She is a high honor roll student athlete with a 3.75 GPA and a 20 on the ACT. She is the most underrated PG in the country. She has not received her fair share of credit of holding that #1 spot during her high school career but you better believe she will show you in the college WORLD that she is #1. She is the most finesse and polish players that I have ever seen and coached (As a Female) in my lifetime. Her skill level is so beyond her years! It is so UNBELIEVABLE! She has definitely been LOYAL, RESONSIBLE and RESPECTED by her teammates, friends and competitors. KK is a beautiful warm-hearted young woman that has a special gift that will truly bless many in her future. Here are just some of her accomplishments: A First Team Associated Press player every year, 3A All-State, Daily Journal Player of the Year, she also shot 89 percent from the free throw line. 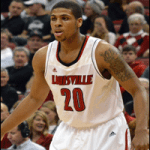 As a sophomore, Sander averaged 19.3 points per game along with 107 steals and 87 assists. She scored 39 points in the Class 3A sectional semifinal and she has scored over 2,000 points in high school. She is listed as No. 38 by Prospect Nation, No. 60 among the ESPNW/HoopGurlz class of 2015 rankings and Prospect Nation also ranks Sanders as the eighth best point guard in the class. 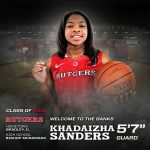 Khadaizha had over 75 solid scholarship offers from the major universities from the following conferences: Big Ten, Big East, Horizon League, American Athletic Conference, SWAC, Missouri Valley, ACC, Patriot League, Atlantic 10, WAC, Summit League, West Coast, Sun Belt, SEC, Ohio Valley, MEAC, Mid American, Ivy League, Conference USA, Mountain West, Ohio Valley , PAC 12 and Atlantic Sun. She narrowed them down to Western Kentucky, Wisconsin University, Michigan State, Houston University and to her final choice Rutgers University . Baylor Youth Foundation is so proud to have had a part in this young prodigy success and development for the past six years. We will have many young ladies follow in her footstep but not too many will be able to fill them. Baylor Youth Foundation is proud to announce it’s second commitment for the 2015 season. 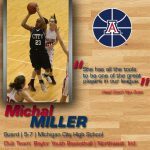 Michal Miller 5’9 , G/F commits to the University of Arizona in Tucson, AZ. .
Michal Miller was highly recruited by the PAC 12, Big East, ACC, Missouri Valley, Big Ten, Conference USA, Horizon League and the Summit League. Michal Miller is an unique and very talented athlete. She is very versatile. She can play the 1, 2 & 3. She is a high percentage shooting guard that can shoot the three (3pt), knock down the the midrange and take you off the dribble. Michal’s basketball IQ is impeccable. Her 6’ft wing span makes it easy for her to pick your pockets. Great defender. She averaged 17-20 ppg during our traveling season where we went 50-3 this past 2014 season. She represented Northwest Indiana (The Region) in the Junior Indiana vs Kentucky All Star Game where she stole the show. 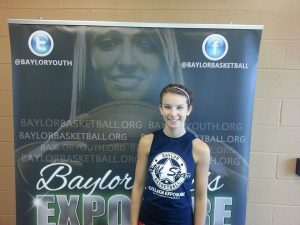 Michal has been apart of the Baylor Basketball programs since the 8th grade where she has definitely established a special place in our hearts. Look for BIG THINGS from this young ladies future! She will be pursuing a major in communication/journalism. Baylor Youth Foundation/Baylor Basketball gives so many college exposure opportunities for young ladies throughout the Midwest. 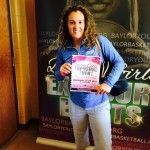 Follow us on Instagram @baylorbasketball12 and on twitter @bayloryouth for our upcoming news and events. Baylor Youth Foundation is proud to announce it’s first commitment for the 2015 season. 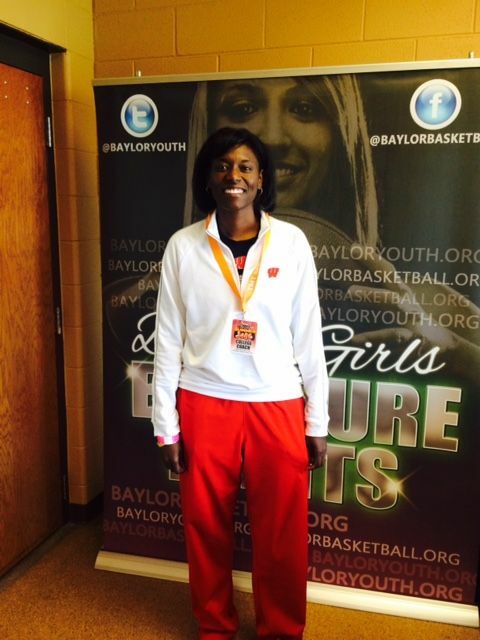 Elizabeth Toye 6’1 , G/F commits to the University of Wisconsin Madison. Elizabeth may not had been on the scouting reports nor was she being recruiting by hundreds of college coaches. She was under recruited and under the radar! She may had started slow in the race but she finished with a BANG! Grabbing a HUGE scholarship offer by the University of Wisconsin. She is now apart of the Elite in the Big Ten and will be in Badger Country. Elizabeth Toye is a talented athletic 2 & 3. She can shoot the three (3pt), knock down the the midrange and take you off the dribble. Her collegiate body allows her to secure offensive and defensive rebounds and defend guards and bigs. She is unique because of her ball handling ability and quickest/speed. Another GREAT part about Elizabeth Toye is that she is a student athlete. She maintains a 4.0 GPA and has scored a 25 on the ACT. She wants to pursue a major in engineering. 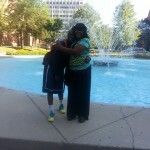 Liz dominated in the beginning of July period but was handicapped by an ankle injury but had a great fall season. 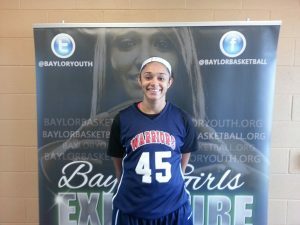 She picked up two scholarships and several Division I interests during the September live period. 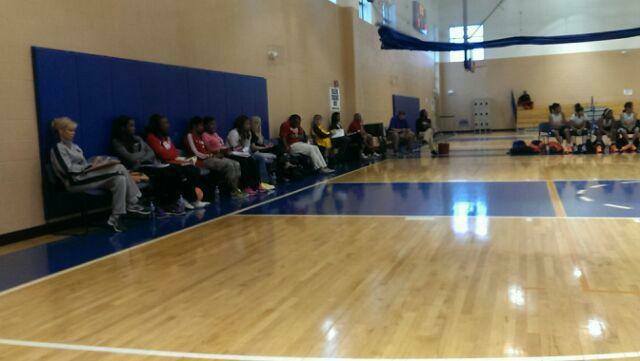 The Chicago Girls Fall Exposure events gives so many college exposure opportunities for young ladies in the Midwest. Do You Want College Exposure? Our Events Bring in the Most College Coaches! Do You Want your basketball skills to be seen by college coaches? Our Events Bring in the Most College Coaches! We want to see you at the following basketball exposure events! College Coaches at a Baylor event. Come and experience the ultimate exposure, competition and well organized events in the Midwest! Come and experience the ultimate exposure, competition and well organized events in the Midwest! Baylor Youth Foundation host the most competitive basketball tournaments, leagues and camps in the Midwest.We bring in teams from IN, OH, MI, IA, KS, WI, IL, TN, GA, TX, CA, FL, PA, NJ, CO, DC, MD, NC, KY and OK ! 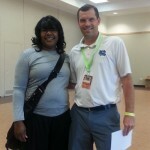 We have major division I college coaches that attend our NCAA certified events. We bring in major universities and colleges including the SEC, Patriot League, Big Ten, The Big East, Conference USA, Big 12, Missouri Valley, Pacific 12, Sun Belt, The Summit League, Ivy League, Missouri Valley, Mountain West, Ohio Valley, Southland, Southwestern Athletic, West Coast Conference, American East Conference, Colonial Athletic Association and the Atlantic 10 Conference . We host events throughout Northwest Indiana, Illinois, Tennessee and Wisconsin at state of the art venues. 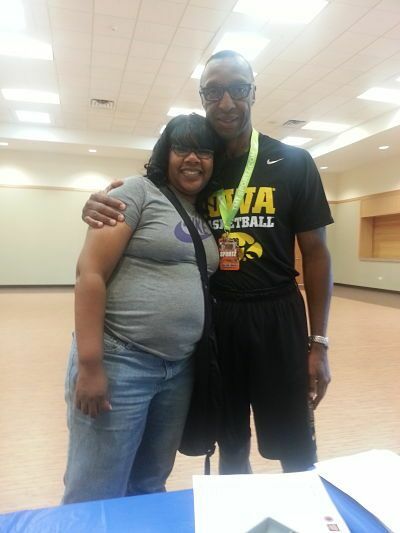 Our events bring a diverse groups of teams through the midwest and the south. We have assisted placing thousands of student athletes across the country! Our events have given so many student athletes college exposure and scholarship. Sign up for our next event! 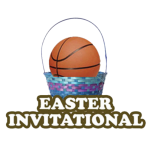 Go to our tournament page to view our upcoming events. 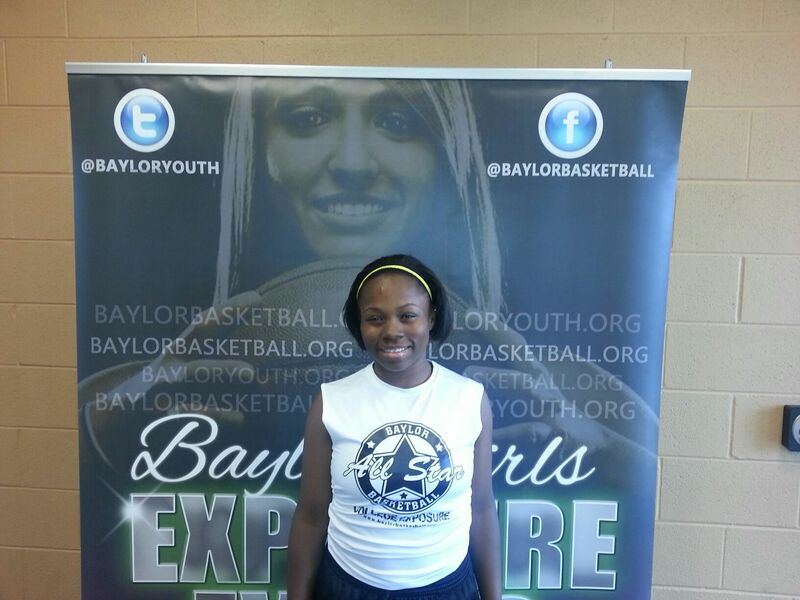 Baylor Youth’s Junior College Women Players are expected to do big things this season! 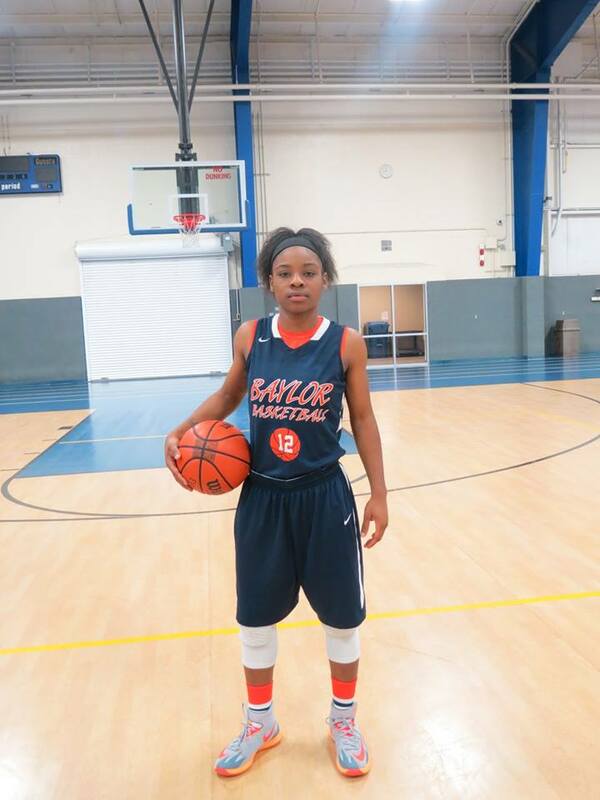 Baylor Youth’s Junior College Women Players are expected to do big things this season! We placed 11 young ladies in junior colleges from Illinois, Georgia, Texas, Missouri and Florida. We are predicting that these young ladies will not have any problem proving why they are the next level recruiting prospects. We will be keeping you posted on their progress and their success as they climb that ladder to the road of D1 baby! 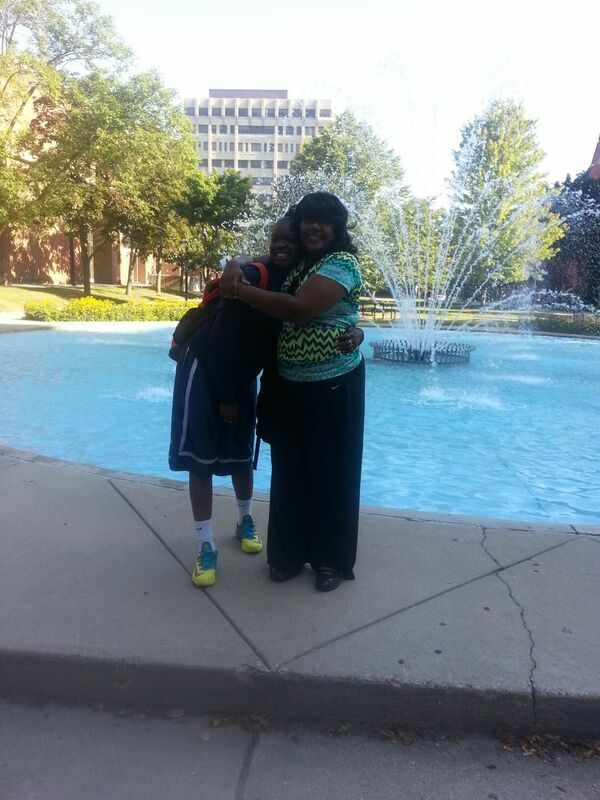 We are proud to announce that Dejah Joshua will be attending the University of Houston in the 2014 season. 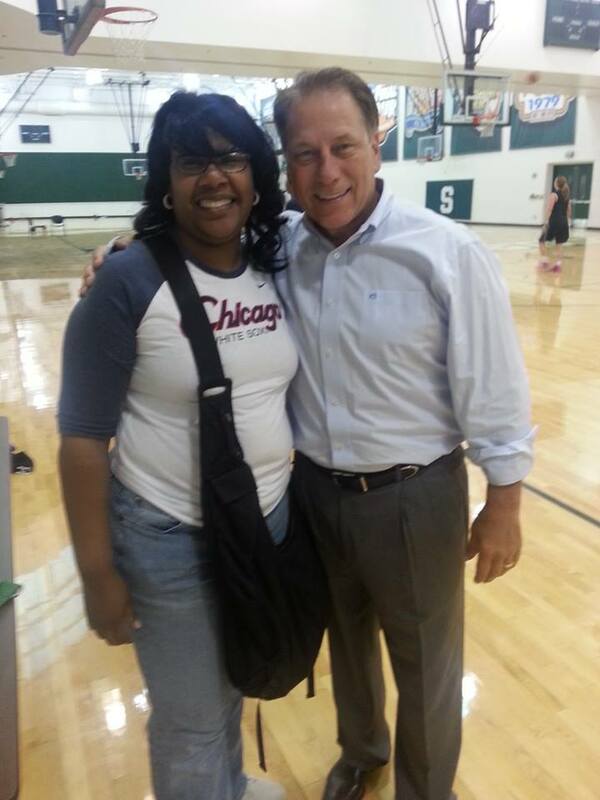 Dejah put in the work this summer and did an exceptional job at our Chicago Elite Girl’s Exposure Event in September. Dejah is definitely a great student athlete. She achieves both on the basketball court and in the classroom! We wish her much success as she takes this new journey. 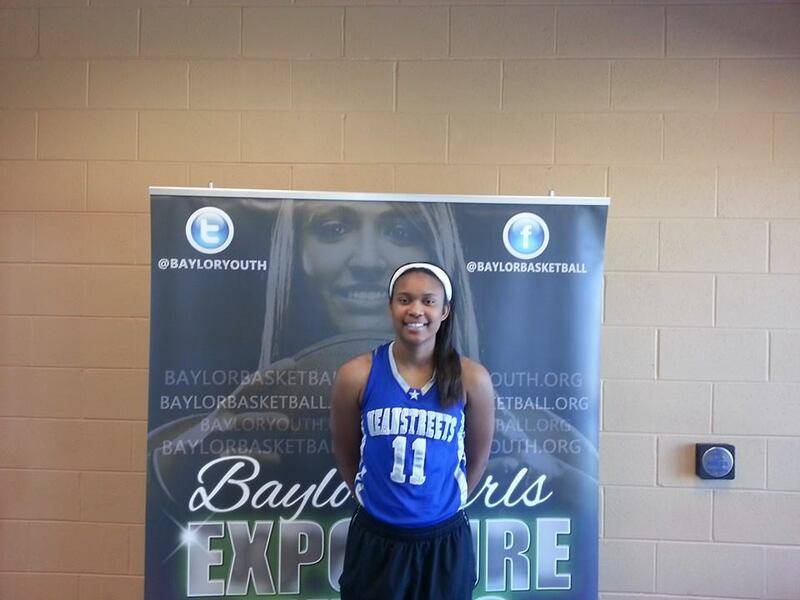 Recap for the Baylor’s Girls Chicago Elite Exposure NCAA Certified Event. 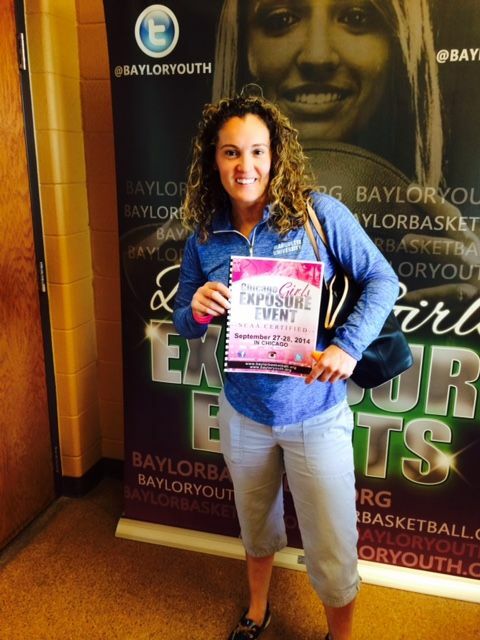 We had over 40 high to mid major universities and college attending the Baylor Girls Exposure Event on September 28-29, 2013 @ the Matteson Community Center in Matteson, Illinois. We had universities representing the SEC, Big Ten, Big East, Horizon League, WAC, Sun Belt, Ohio Valley, Missouri Valley, Mid-American and American Athletic conferences. 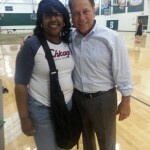 We also had so much talent in the building and many young ladies receiving scholarship offers afterwards. Below is some of the highlighted players. At 5’11, Tinon is a strong even handed post players with the ability to finish after using post moves down low with either hand. 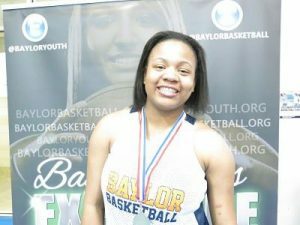 She has a big body frame and has good feet that allow her to get good offensive and defensive position and is a monster on the boards. Undersized for her position but makes up for it in tenacious play. You want to talk about intensity on the court? From her game face to her game play, there is nothing soft about Dejah on the basketball court. 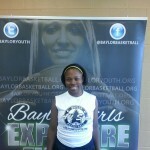 Standing 5’8, she by far was the quickest and most dominant defender at the camp. Using her quick feel and quick hands to disrupt her opponent, steals come a dime a dozen for her. Oh yea, she’s not to shabby on the offensive end showing a knack for knocking down 15 foot jumpers and attacking the basket at will. Michal put on a shooting exhibition this weekend at the camp. She was draining 3 pointers from every angle on the court and displaying a mid range game that had the college coaches nodding their heads in approval. Michal is a 5’9 combo guard with a good handle on the ball and can attack the basket at will. She displays quick feet and is a menace on the defensive end. And to top it off, she plays the game with a smile on her face reminding everyone of exactly what this is…..a game. By far the most electrifying and exciting player to watch at the camp, “Kay Kay,” understood the moment and made the best of it. Their isn’t much she cant do on the floor. She has a game beyond her years. Listed at a generous 5’7, her ball handing skills are immaculate and she has court vision that enables her to see things before they happen. She is a vocal leader on the team who has no problem leading by example with her never say die attitude and hard work. She has a great shooting touch and loves to see her teammates score just as much as herself. Defensively, she isn’t a slouch either, displaying good lateral quickness and good hands. 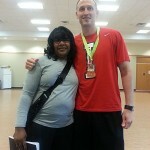 A monster on the court, Marsha is definitely not someone you want to play against but would love to have as a teammate. 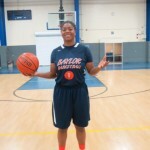 A 6’1 forward, she rebounds offensively and defensively like a woman possessed and plays good defense on her opponent. She is extremely aggressive and plays with a high motor. 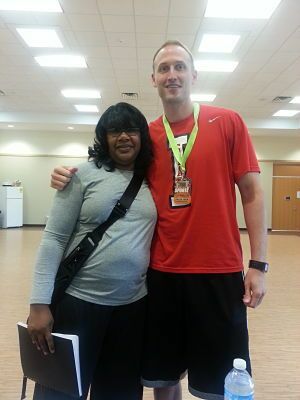 The queen of the pick and roll, Marsha can even put it on the floor and handle the ball like a guard. Strong and mean are the best 2 words that describe 5’10 forward Tammy Russell on the court. She plays extremely well with her back to basket and can turn over either shoulder or reverse pivot and face you up. You are at her mercy down low. She rebounds well and understands her roll on the court. She does exactly what she needs to do and is asked to do. Jenasae is a do everything point guard. 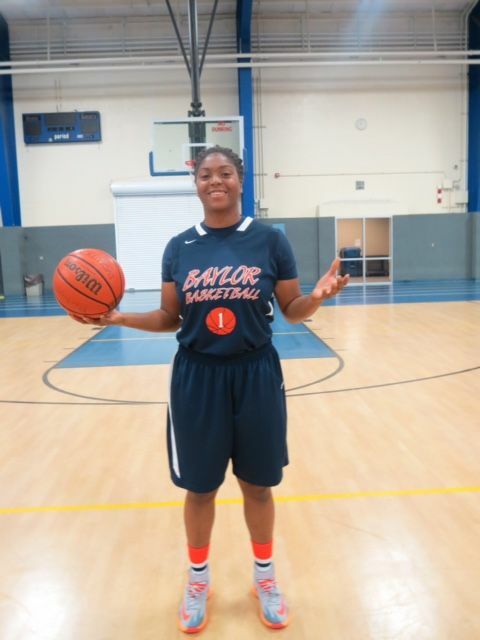 Only a eight grader, Ms. Bishop has a game beyond her years. She handles the ball well and makes good decisions with the ball. She has quick feet and good lateral movement. What she lacks in height she makes up for in quickness. She can shoot it from the outside as well as mix it up inside with the bigs. Daijah can shoot the basketball. She is a coaches kid. She shoots the ball well and has a nice release on her shot. She is 5’9 and thin. However, looking at her lean frame and long limbs, you can tell she is no where near done growing. And that says a lot because she is already a problem for her defenders who have a hard time contesting her shots because they are so worried about her drive to the basket. The sky is the limit for Ms. Smith. At 6’, Katrina is a great complimentary guard. She has a strong body and can handle the ball like a point guard. With a shot extending well beyond the high school 3 point line, Ms. Reeves can really fill it up. She is a vocal leader for her Warrior team and is never negative on the court. Sam is a very skilled big. She can face up with her defender or back them down from the block and use her arsenal of post moves to get her shot off. She rebounds offensively and runs the floor well. A junior in class, Sam is merely scratching the surface of her abilities as a basketball player. This 5’2 point guard is better off being labeled as a scoring guard. Lauren has the ability, despite her small stature, to get to the basket and finish. She is lightning quick and can shoot it from the outside at a above average rate. She is very unselfish with the ball, always looking to get her teammates involved in the game. She is only a sophomore but plays the game like she’s much older than that. 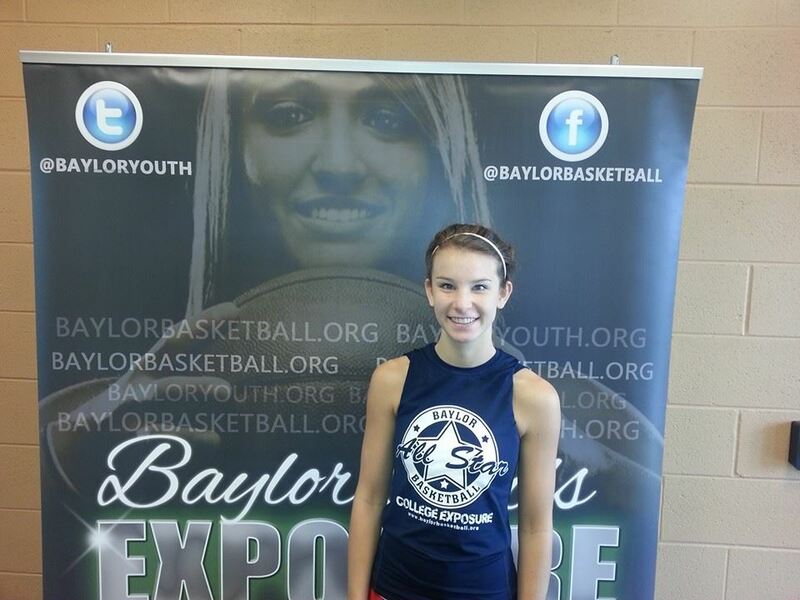 Sydney is a highly effective off guard who can handle the ball and loves to attack the basket. She is very passive and unselfish until her fuse is lit. Once that occurs, the only thing that can stop her is the buzzer at the end of each quarter. She can shoot the ball from outside, penetrate off the dribble and find the open man . 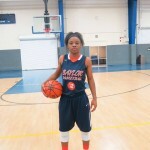 This 5’6 guard will be a force to be reckoned with once she realizes she is as good as she wants to be. 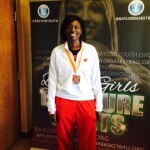 When you combine a consistent 3 point shot, ball handling skills, unselfishness, the “want to” to play defense, and being extremely coachable, you get one heck of a ball player and that explains Brenda to a T. She lead a undermanned Camp team to a couple victories and made her opponents account for her whereabouts on the basketball court at the camp. Teammates at the camp and teammates at the camp Naomi and Brenda Pennington just flat out play well together. Naomi is the bigger of the guards standing at 5’8. Ms. House can also shoot the ball with consistency and is very athletic. 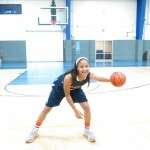 She has a killer crossover that makes her hard to guard and can finish with both hands in the paint. 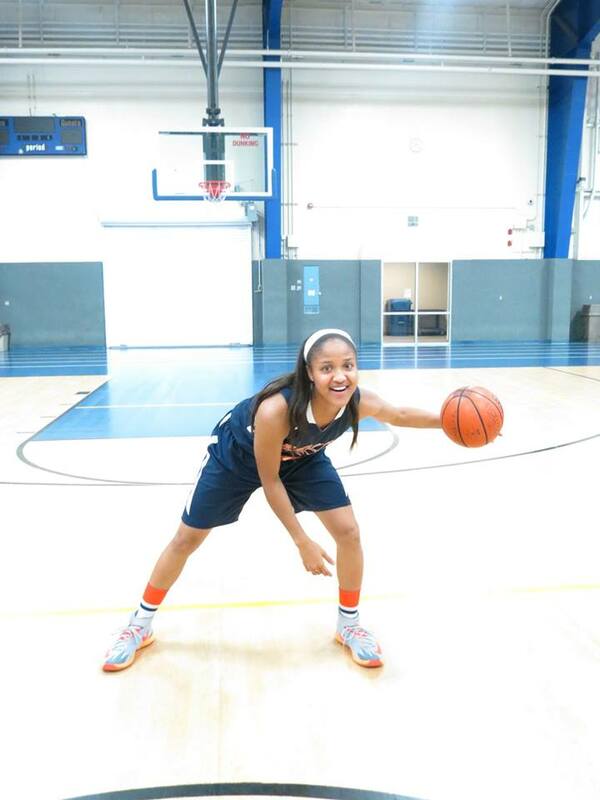 She has quick feet and can guard a variety of positions.